24" tall bar with round tubular construction provides residents with a comfortable grip. Interior bar locations offer multiple grip handles for residents. Superior construction gives increased stability and long-lasting performance. Bolt-on design makes it easy to mount bars securely to any flat metal surface. All NOA Beds are pre-drilled to accept the bolt-on assist bar, making installation a snap! Universal design mounts on either side of bed. The Folding Assist Bar can be moved when not in use. 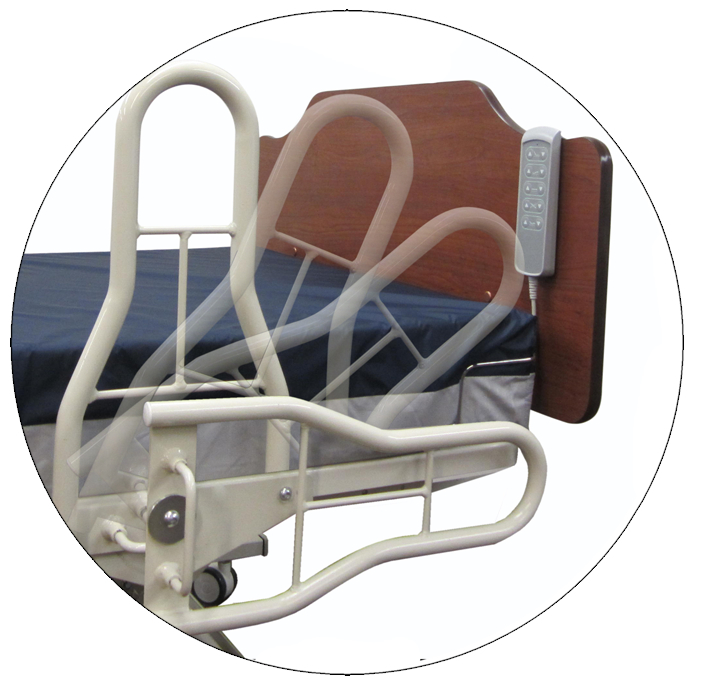 Secure locking mechanism holds bar in place when patient is needing assistance.